Omigosh, Furriest, Giantest Chewbacca I’ve Ever Seen!! And I wish I had that chick’s t-shirt and could make my hair do what hers is doing, but that’s a different story. Omigosh, biggest, squishiest, furriest, TALKIEST Chewie EVER. Yes. He talks. He’s adorbs AND he talks. AND, he’s on sale. 20% off, as part of at Perpetual Kid’s weekend sale. 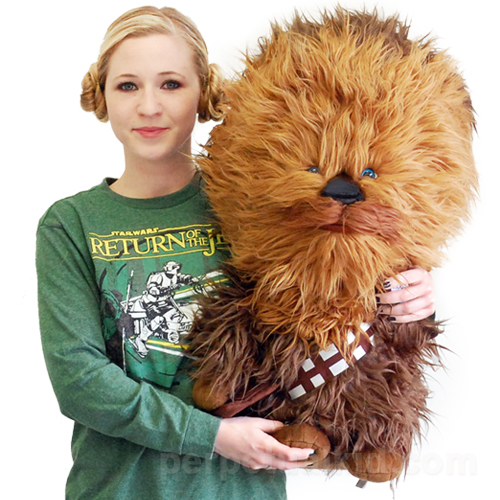 So, head on over and grab you some two feet tall Chewie Love!